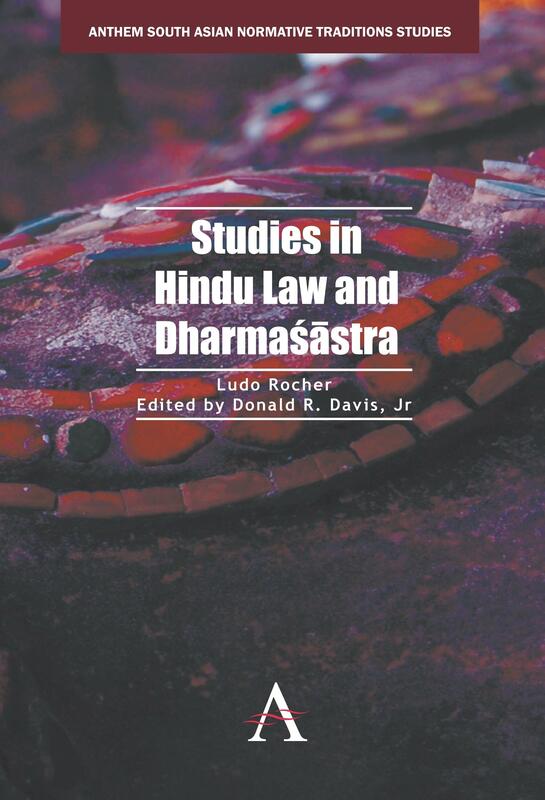 This month, Anthem Press will publish Studies in Hindu Law and Dharmaśāstra by Ludo Rocher (University of Pennsylvania) and edited by Donald R. Davis, Jr. (University of Wisconsin – Madison). The publisher’s description follows. The main sources for an understanding of classical Hindu law are the Sanskrit treatises on religious and legal duties, known as the Dharmaśāstras. In this collection of his major studies in the field, Ludo Rocher presents analytical and interpretive essays on a wide range of topics, from general themes such as the nature of Hindu law and Anglo-Hindu law to technical matters including word studies and text criticism. Rocher’s deep engagement with the language and worldview of the authors in the Dharmaśāstra tradition yields distinctive and corrective contributions to the field, which are informed by knowledge both of the Indian grammatical tradition and of Roman and civil law. Davis’s introduction presents an interpretative account of Rocher’s many contributions to the field, organized around the themes that recur in his work, and examines his key advances, both methodological and substantive. Comparisons and contrasts between Rocher’s ideas and those of his Indological colleagues serve to place him in the context of a scholarly tradition, while Rocher’s fundamental view that the Dharmaśāstra is first and foremost a scholarly and scholastic tradition, rather than a practical legal one, is also explored. This invaluable collection serves both as summary review of the ideas of Rocher, a leading authority in the field, and as a critical evaluation of the impact of these ideas on the present study of law and Indology.